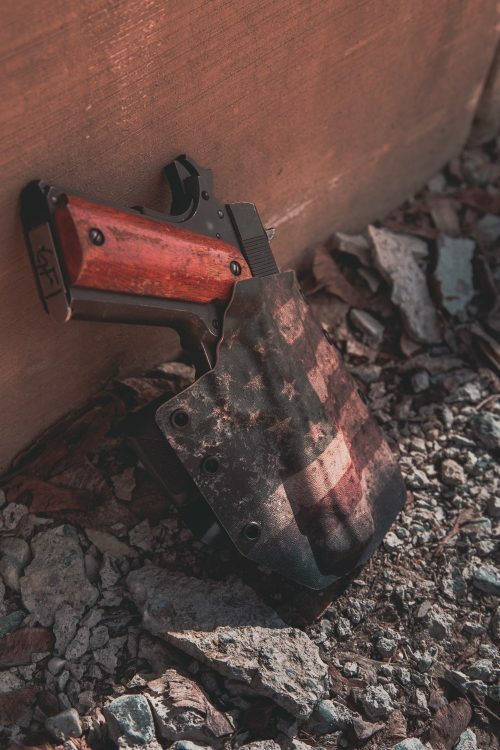 Designed for everyday carry and range usage. Handformed Kydex no-slip belt loops. Holsters for lights will be built closed end and neutral cant. Standard is a Closed End. 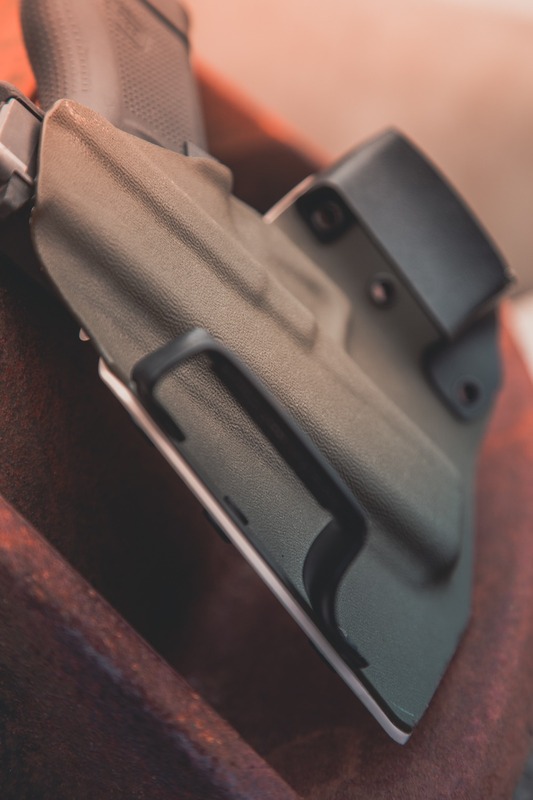 Select an Open Ended holster if you want a more universal fit or have an extended slide setup, such as a compensator. I bought 2 Ronin owb holsters. The easy one was for a glock 19 so they had that in stock and ready to ship of course. The one that took a few weeks was for my HK Mk.23 but that was to be expected. The Mk23 is a very large gun and it fits just as tight and snug to my hip as the glock 19 version. 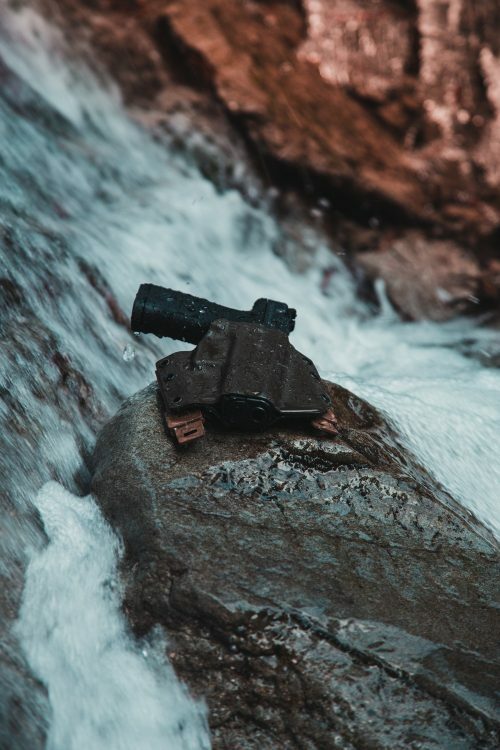 Overall these are some of if not the best owb holsters on the market in my opinion. The retention is strong enough the gun will never slip out accidently yet loose enough for a easy draw. 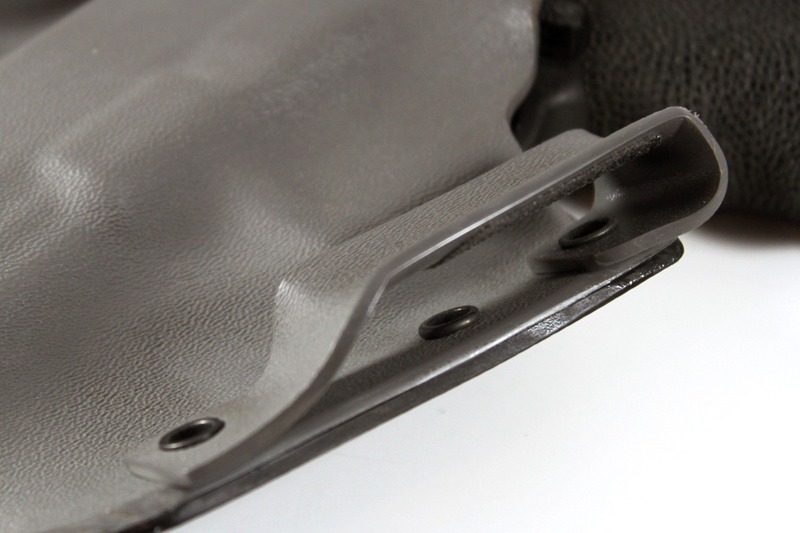 The kydex is cut perfectly and all edges are smooth while retaining good strength with minimal bulk. 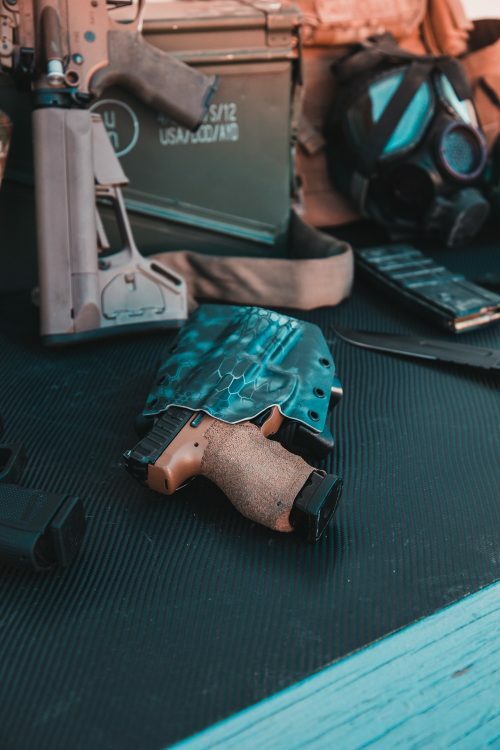 I have owned Many holsters and i have to say the GunfightersInc crew makes the best holster i have ever owned and i will not own any other ones. i like to carry full size handguns and My FNX45 carries very well with this holster. i will be buying one for each of my carry guns. thanks for all you guys do. Great product, fits my Glock 20 perfectly. Ordered with their micro-aggression panel, I’m a big guy and don’t like my pistol digging into my side. This sits perfectly and when I sit it has plenty of room to maneuver. I ordered the EGA Emblem and it was a lot bigger then I expected, but it’s not too bad. I let them choose the back color and it was really good looking with the coyote brown panel and the brown of the EGA background. Took less then a week to get but I did upgraded production time and shipping. I also live in Montana and they were out of Washington. Great everything about this company. Will order another one for my Glock 32. I have 3 Ronin holsters now and I’m planning on buying my 4th. They ride very close to the body and are comfortable to wear all day. I forget I’m wearing it and I have metal framed guns which have added weight. Great construction and clean finish. I highly recommend them to anyone looking for a well made holster. 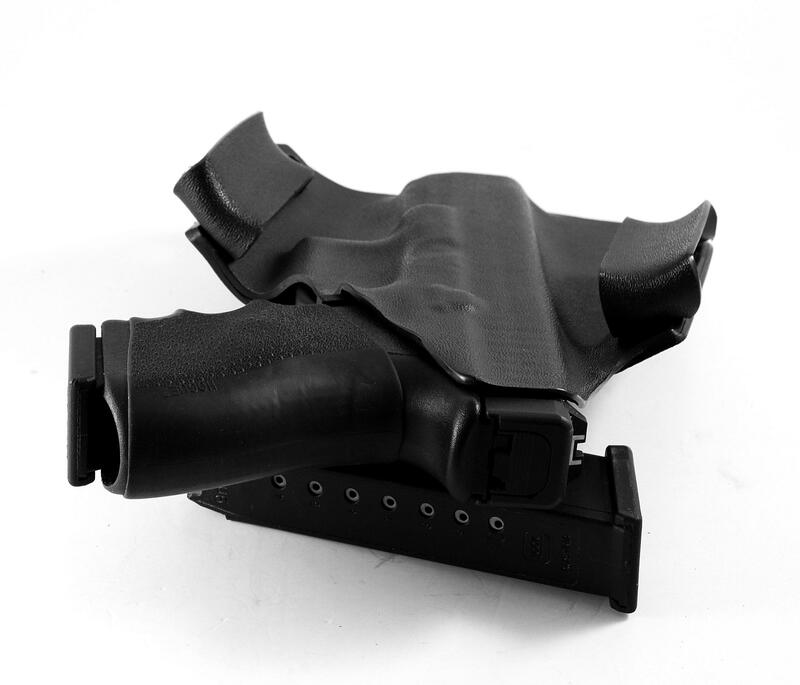 Just received (2) Ronin custom OWB holsters for 2 disparate pistols styles (92FS, BP9CC). I ordered these holsters based solely on customer/industry reviews. They’ve taken the top spot as the 2 best functional, no nonsense holsters I own. Positive retention, clean draw, easy re-holster. Fit and finish are top notch, well worth the wait. Will be ordering some mag holsters here soon. Just got my Roni OWB holster for my Five-seveN and can’t believe how well it is built. Clean draw out of the box and great retention. 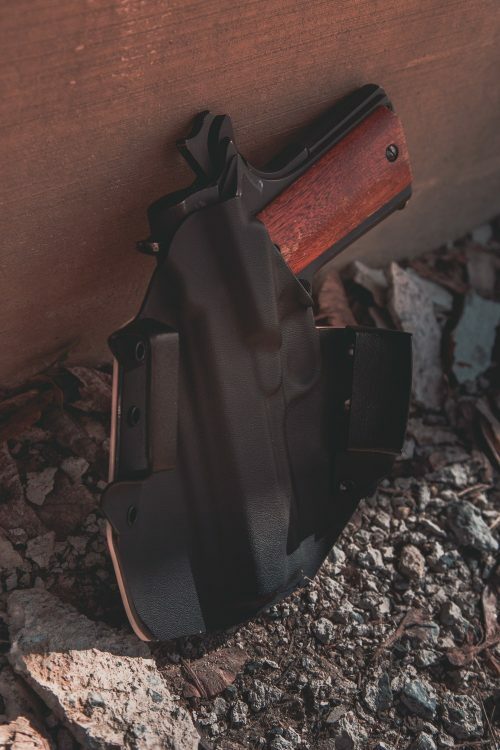 I wish I had purchased this type of holster for my Glocks instead of the Fobus holsters that I have. Will be replacing them with ASAP. 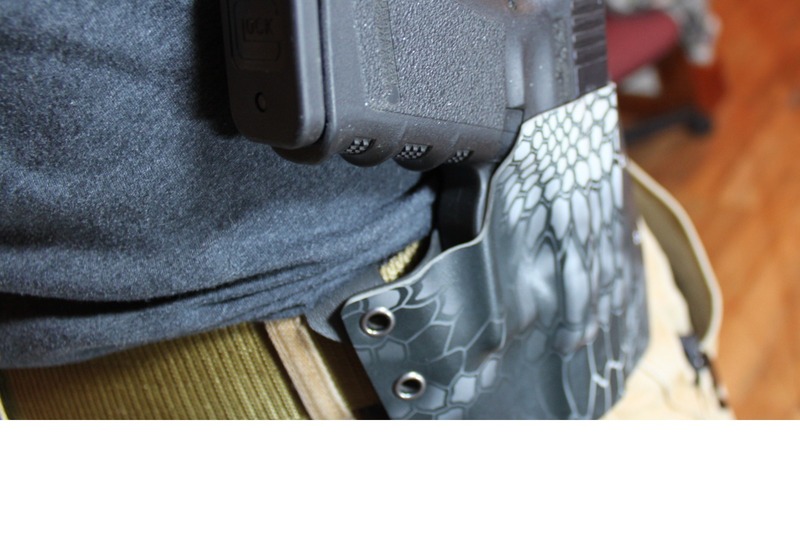 I ordered a holster from this company based on the recommendation of a friend. When I placed the order for a left handed holster to fit a 3″ S&W “K” frame, I was very pleased and surprised when the holster arrived in less than a month. 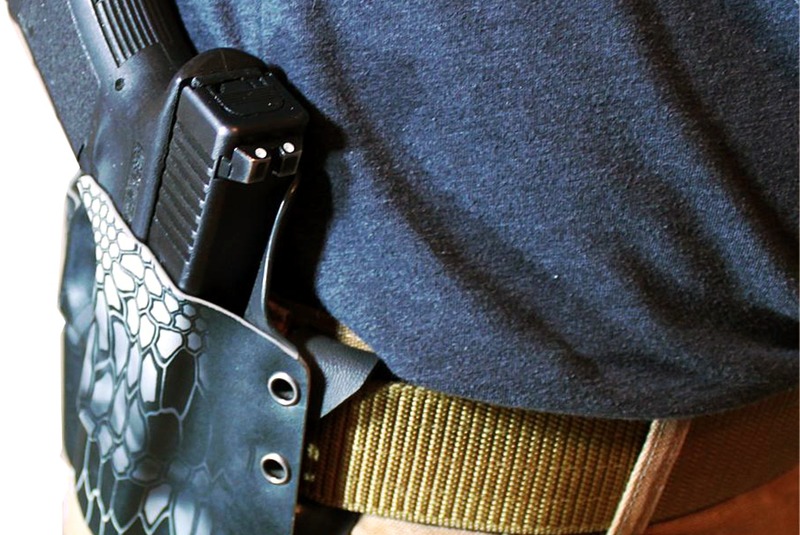 Positive retention and comfortable fit on my hip make this an outstanding holster. I have been searching for a good holster for a long time. 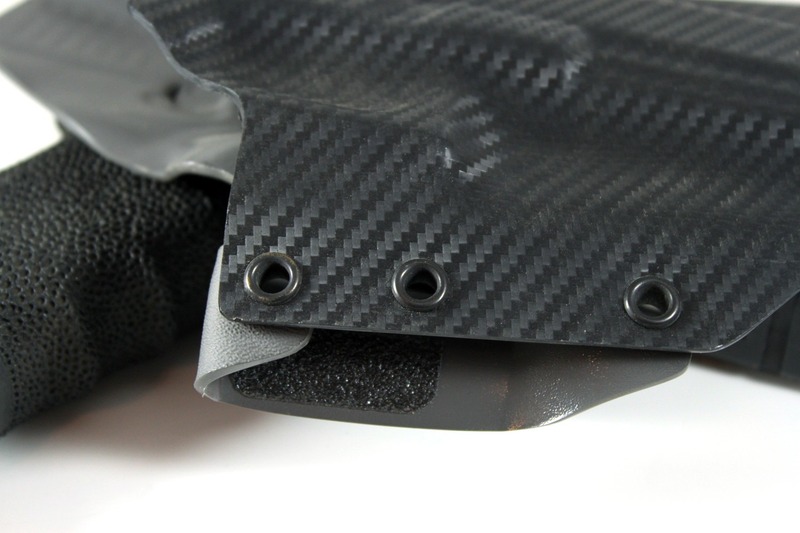 I need a holster with good retention and that fits close to the body for easy concealment. 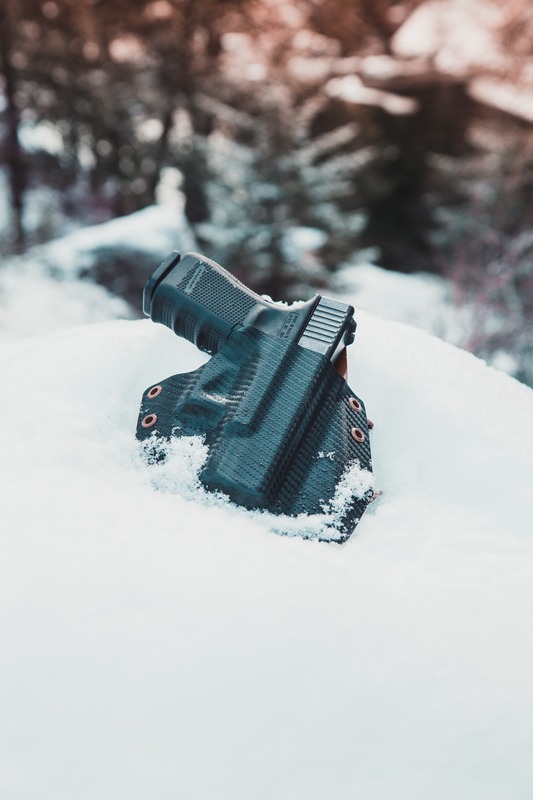 This ronin holster has met all of my needs and more. After my first purchase, I had to buy another one, and I’m planning on buying more! I’m in love with this holster! I purchased this for my Canik SFx, and the firs thing I can say, is AMAZING fit. It’s really hard to find a custom vendor for my firearm. So I was thrilled to see Gunfighters was able to accommodate. The holster is top notch, and very professional looking/made, and super sturdy. I plan to order more items for my TP9 from these guys if possible. Oh, and I selected the fast shipping option which costed an additional $35, but it was well worth it, as I did indeed received my custom holster and mag holder fast. I got them in about 10 days from the date I placed my order. Thanks for the awesome service and product. Incredible holsters. I own three and couldn’t be happier. Interesting thing I learned is that the holster for my Glock 20 10mm also fits my Glock 26 9mm perfectly. Apparently the only difference in dimension between the two guns is barrel length. 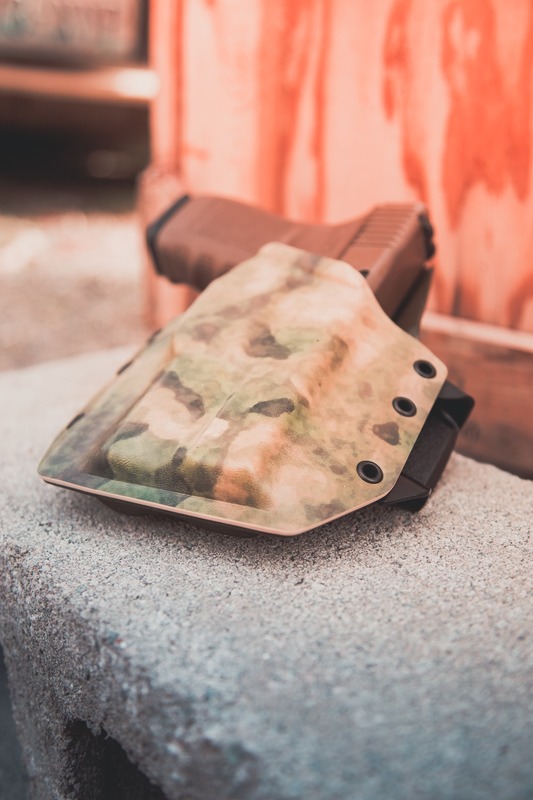 If you buy a holster for the Glock 20 it will work quite well for a Glock 26 and probably several other Glock pistols as well. I have two Ronin. One for my colt combat commander and my government model. They keep the gun secure and tight against my body. As long as the holster is on a sturdy belt, the gun won’t move or fall. Just got my custom Ronin for my Glock 30 with a TLR-8. 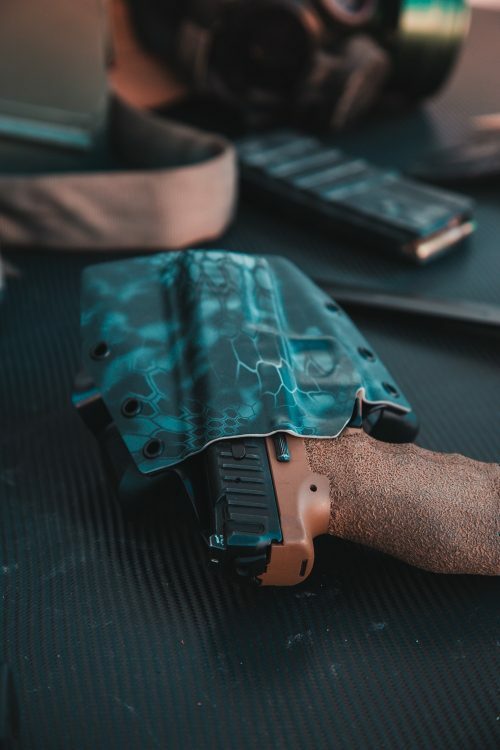 Hands down, this is the finest kydex holster I’ve seen or used. 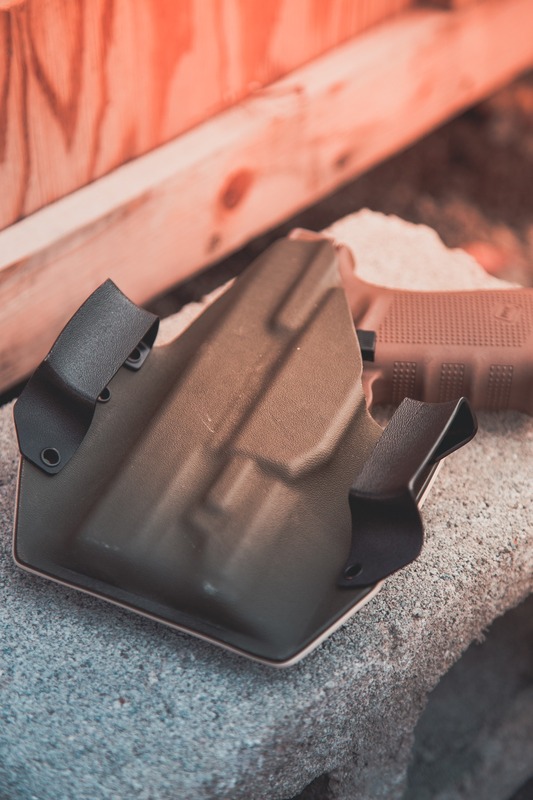 The fit and finish are perfect and, most noteworthy, it holds the gun closer to my body than any other OWB holster I’ve ever tried. Custom Ronin OWB in coyote brown. My second holster from Gunfightersinc. 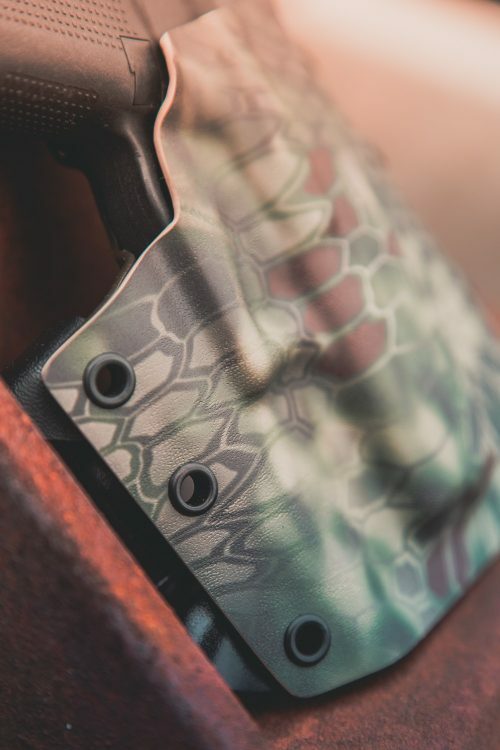 Fits real snug to the hip for amazing concealment. Snaps in and out perfect! I paid for the 3 day build, arrived on the fifth business day after I ordered it. My S&W M&P is in dark earth so the match up looks awesome. I’ll surely be ordering for my other toys. Best holster I have found in Kydex and I’ve tried a half dozen or so. Extremely satisfied. I ordered a Ronin OWB holster in the Snake Skin pattern for my Beretta PX4 40 Cal with a Crimson Trace Green Laser, and I couldn’t be happier. Because I had a CT Laser, I had to send that in for them to make the mold, and it was sent back along with my new holster. It’s extremely light & fits the weapon perfectly, with an excellent draw. I’m ordering another OWB for a Beretta FS that I have & also getting a Chest holster for the PX4. The more guns I own will have a Ronin holster to go with them. The Ronin is the foundation of the GunfightersINC holster lineup. The Ronin embodies Gunfighters’ core principles of simplicity, ergonomics and durability in every way possible. Our base material is premium USA made .08 thickness Kydex which is hand-formed against the firearm of choice resulting in unsurpassed retention characteristics, a smooth draw, and long-term durability. Every line on the holster serves to either enhance comfort, functionality or aesthetics so that it not only feels like an extension of your body, but looks like one too. – Belt loops are hard riveted to the holster then painstakingly hand contoured for maximum comfort and a perfect offset. No two belt-loops are the same and no threaded fasteners are used in anything we build so there is nothing to ever come loose and fall out. Marine grade friction tape is then applied to the inside of each loop to ensure maximum stability. The end result is a single, indestructible piece of equipment you can bet your life on… we do. We’re so confident in our gear that we back it up with an unconditional lifetime guarantee. Whatever happens, we have your back.